After it introduced the first Quick Response (QR) code payments via app in the Philippines last May, PayMaya Philippines today announced that the scan-to-pay technology is now available across the country, with Smart Stores and select merchants in key cities now allowing consumers to conveniently pay by simply scanning QR codes through their PayMaya app. Smart subscribers have a new means to transact with their accounts as Smart Stores all over the country are now equipped with PayMaya QR technology. PayMaya is also enabling merchants in communities starting with canteens in partner schools like STI and commercial establishments in cashless cities such as Muntinlupa and Malabon. Similarly, PayMaya is also tapping popular merchants in SmartSpots already enabled by WiFi connectivity in key cities such as Baguio, Cebu, and Davao. In the near future, payments enabled by PayMaya will also be accepted online and in-store in popular food chains, supermarkets, and malls such as McDonald's, Army Navy, Domino’s Pizza, and Gaisano Supermarkets, among others. To further bring the technology to more users, Smart and PayMaya are also set to equip Smart retail partners down to the sari-sari store levels with the payment technology. "As PayMaya continues to grow nationwide, we take a giant step for our customers by making QR code payments available to all kinds of merchants. PayMaya is the leading digital payments wallet and on the merchant side, this will reinforce our position as the top mobile payments acquirer in the country," said Orlando B. Vea, President and CEO, PayMaya Philippines and Voyager Innovations. "Convenient and secure cashless transactions complete the digital life experience of people and communities. Equipping our Smart Stores, partner merchants, and retailers with PayMaya's innovative platforms is a step in making our vision a reality," said Eric R. Alberto, Chief Revenue Officer, PLDT and Smart. QR code technology has been in use for quite some time with many applications already in the market. However, wide adoption for payments had been previously hampered by various factors, such as lower smartphone and internet usage. The technology has now taken off around the world, with payment providers in various countries introducing use cases for adoption. Globally, Tencent's WeChat app is the leader with close to a billion active users, most of them residing in China. Similar to PayMaya, every time their app is downloaded, so too is a QR code reader as the feature has already been integrated. In the Philippines, the growing smartphone and internet penetration is now being complemented by digital payments adoption, pioneered by PayMaya. It has made payments integration capability via QR codes available and is now accelerating consumer acceptance, as it further builds up and reinforces the payment ecosystem and infrastructure across the country. "For any kind of digital payments technology to be widely adopted, it is important to foster the right conditions and build the ecosystem. PayMaya is already leading the market toward this direction. Along with the strongest network of PLDT and Smart, we are seeing digital financial inclusion in action," said Manuel V. Pangilinan, Chairman of PLDT, Smart, Voyager Innovations and PayMaya Philippines. PayMaya Philippines is the digital financial services arm of PLDT and Smart's Voyager Innovations. 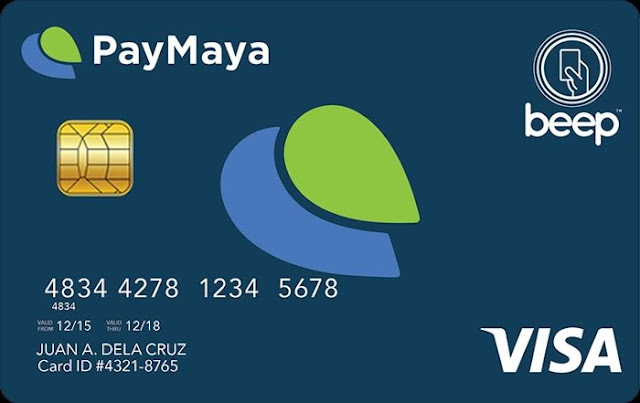 Its PayMaya wallet, accessible via mobile app and Facebook Messenger (@PayMayaOfficial) that comes with a virtual and physical Visa or MasterCard, is now the preferred prepaid payment by the millennial market. Any mobile subscriber can simply download the PayMaya app from the Play Store or the App Store and load up their wallet at any of the more than 15,000 reloading stations nationwide, which include SM Business Centers, Robinsons Department Stores Business Centers, and 7-Eleven, Petron stations along NLEX and Ministop outlets with Touchpay Kiosks, UnionBank ATMs, Shopwise, Wellcome, 2Go outlets, Smart Padala centers, Palawan Pawnshop, and online banking via BDO and UnionBank. PayMaya is also the platform of choice of local governments, enterprises, and schools for disbursements and ID plus payments cards. PayMaya-enabled ID plus payment cards are being used by Balanga City, Malabon City, Malolos City, Muntinlupa City, Catbalogan City, and Tacloban City, as well as by schools such as STI. Meanwhile, PayMaya Business, the company’s system solutions provider that allows businesses to receive online and card payments anytime, anywhere, is now the top mobile payments acquirer powering companies such as Cebu Pacific, Lazada, Meralco, Metro Pacific Tollways, Philippine Airlines, Smart, and Zalora, as well as numerous other merchants. Completing the cashless ecosystem is Smart Padala's largest money-in/money-out remittance network. Complementing PayMaya's digital payments is the financial technology or fintech platforms of Voyager's FINTQnologies, Inc. (FINTQ). FINTQ enables banks and financial institutions to expand the reach of their services through digital lending, banking, and micro investment platforms such as Lendr, PeraAgad, Mobile Loan Saver, and iNVSTR. FINTQ has processed over P21 billion worth of disbursed loans since it started in 2015. The Voyager’s fintech arm now has the most extensive digital lending footprint covering 100% of 81 provinces, 90% of 145 cities and 15% of 1490 municipalities including low-income areas. For more information about PayMaya, visit www.paymaya.com. Engage with us on social media at: facebook.com/PayMayaOfficial, twitter.com/paymayaofficial, and instagram.com/paymayaofficial. Get customer support at @PayMayaCares on Facebook. Expo Mom: #TeamMom in CDO! Tomorrow is the Day! It’s National Pampering Day! Be the First Mr. and Ms. BPO!